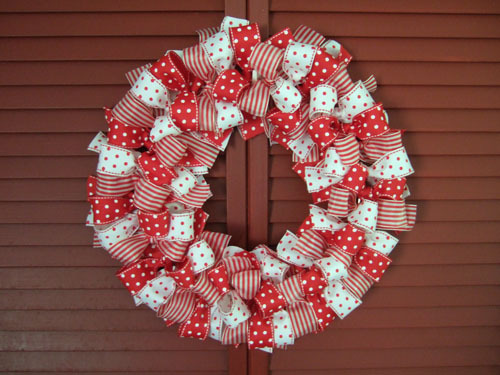 If you still haven’t made or bought a Christmas wreath we have an interesting tutorial for you. It’s done by Monica Ewing, doesn’t require much materials and is really easy to implement. 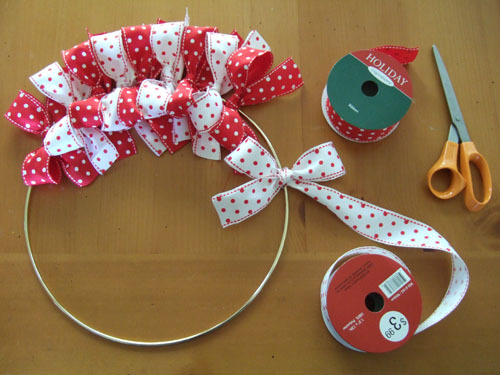 Put all bows on the metal ring but use bows made of different ribbons after each other. Now you need only a hook to hang the wreath. See? The project is really easy and won’t take more than two hours of your time. This entry was posted in DIY Projects, Household, Interesting Articles And/Or Pictures, Miscellaneous, Other People's Experiences on December 2, 2014 by bonnie.